Hearing you may need root canal therapy may leave you feeling anxious, even though this treatment will help treat pain rather than cause it. Depending on the extent of damage to your teeth, the approach may be surgical or non-surgical. Both procedures will restore the full function and appearance of your teeth. You can smile with confidence once again! Also known as endodontic treatment, root canal therapy is a dental procedure that works to repair and save a severely damaged, injured, cracked, or decayed tooth with inflamed or infected tooth pulp. If not addressed, the condition may continue to progress and may cause complications including severe tooth pain or an abscess, potentially requiring a tooth extraction. The procedure is named a root canal therapy is because it involves removing the diseased pulp and nerves located within a tooth’s root canal. 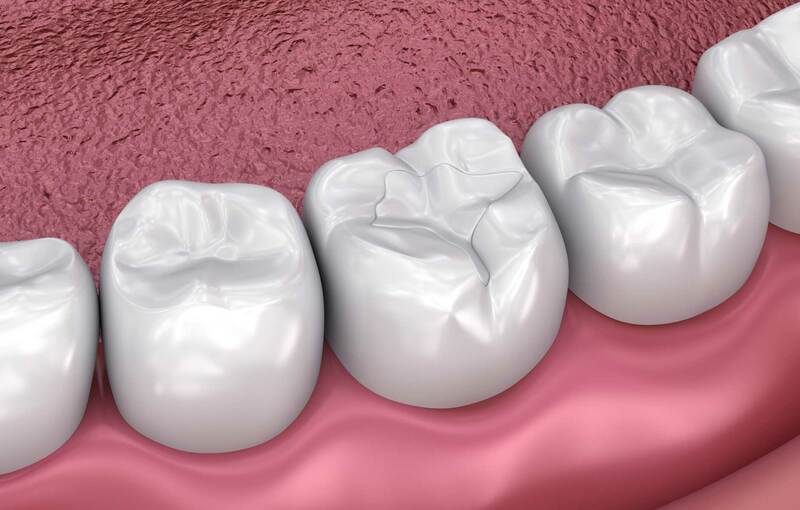 We typically place a dental crown after the treatment to restore, protect, and strengthen the tooth, leaving you with a fully functional tooth. In most cases requiring root canal therapy, a non-surgical procedure will be sufficient to restore a tooth. This procedure is very similar to receiving a deep filling. While it is a more involved procedure, there are some fundamental similarities. Both treatments require drilling the tooth, followed by cleaning and filling the cavity. During a non-surgical root canal therapy, we drill farther than we would during a filling to allow us to access the root canal to clean it. We remove the injured pulp, clean the root canal, and place a filling material to seal the hole to prevent further infection. Both procedures will require local anesthesia to ensure your comfort. In some rare cases, if the tooth is too infected or damaged for a non-surgical root canal treatment, we may need to resort to surgical root canal therapy. The procedure may involve making an incision in the gum to access the root canal and remove the infected tissue safely. Visit us at Avalon Dental Care to learn more about root canal therapy along with the quality services we offer. We will work with you to determine the best course of treatment to leave you with a healthy, confident smile for a lifetime. Call us today!